The global industrial gas valves manufactured by Sherwood are designed for hydrocarbon-based flammable gases. Manufactured at Sherwood’s manufacturing facility in the USA, each CNG valve is designed for durability, performance efficiency and user safety. The CNG valves are used for CNG, methane, ethane and service of other similar gases. 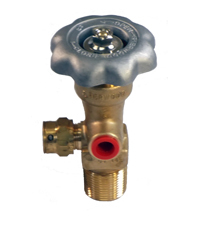 The valve body is made from high quality forged brass, which offers resistance to high pressure. The innovative core design reduces stress on internal zones which renders the compressed natural gas valve highly safe. Different types of Global valve for hydrocarbon based flammable gases are available here. Your search for compressed gas valves ends here. If the valve is not listed on the website, contact us now so as to enable us to offer you the desired CNG valve from our well stocked warehouse. If you are looking for durability, performance efficiency and safety, click here to buy Compressed Natural Gas Valve.